A psychiatrist is a physician who is specially trained to diagnose and treat people who are experiencing a wide range of issues, from emotional distress to more severe mental health concerns. 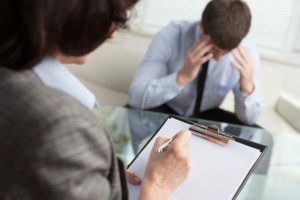 People may make their first appointment to visit a psychiatrist when they are having difficulties at work, in relationships, or even as a result of medical conditions. These patients could be experiencing many different symptoms including sadness, lack of energy, anxiety, or mood swings. Other symptoms could include problems with sleep, memory, or appetite. In some circumstances, the symptoms may be much more severe and include hallucinations or suicidal thoughts. Psychiatrists are doctors who are dedicated to providing the best treatment and care for mental disorders with compassion and patience. They must have excellent communication skills and a high degree of emotional intelligence to understand the patient’s emotional and mental problems and formulate the best course of action for their treatment. Unlike other fields of medicine, the treatment regimen in psychiatry may change significantly depending on the patient’s response to medication or psychotherapy. With proper psychological, emotional and social support, many patients who have severe mental symptoms are able to improve and reconnect with society, which allows mental health professionals to lower medication dosages. In certain cases, relapse of symptoms may occur, which requires a new treatment strategy and elaboration of alternative therapies for a particular patient. People with chronic mental disorders, such as schizophrenia, experience excessive medical morbidity and mortality. This results from various patient, disease, and health-system factors. Among them is inadequate screening for and treatment of common medical conditions. There is a growing impetus for psychiatrists to play a larger role in the physical health of their patients. Clinical context, provider comfort and competence, and patient preference are all factors that must be considered. Psychiatrists’ increasing involvement in managing the physical health issues of their patients is a key approach to reducing health disparities among people with chronic mental disorders. When a patient presents with depression, there are a number of treatment options that commonly utilize. Every patient is unique and comes with a history of treatment failures, treatment successes and treatment options that have not been tried in the past. Also must rule out conditions like bipolar disorder, ADHD, anxiety, psychosis and addiction, as these conditions influence which medications would be suitable for patient. A proper diagnosis is imperative in order to develop an effective treatment plan. Certain facets of life are stressful, and many situations – from a job interview to relationship problems – can cause you to feel anxious. Stress and anxiety, if left to fester, can lead to social isolation, depression, and a slew of other problems. A psychologist can help you manage stress and anxiety by finding the source or cause of your problems, as well as appropriate ways to overcome them. Death is an unavoidable part of life, but that doesn’t make it any easier to deal with. Everyone handles the loss of a loved one – whether a parent or a pet – differently. Grieving openly or privately are common ways, but avoiding the realities of loss can lead to longer, lingering problems. A psychologist can help you find appropriate ways to cope with death of someone close to you. Overwhelming feelings of helplessness or hopelessness are common signs of depression. While many believe people can just “snap out” of depression, it rarely occurs. Depression is a common disorder where people lose interest in things, experience fatigue, and often have trouble controlling their emotions. Psychologists can help you find your source of depression – often the first step to feeling better. Relationships, whether family, personal, or work-related, have their ups and downs. While they can be some of the best things in life, relationships can definitely be a source of stress and problems as well. Working with a psychologist (individually or in a group setting) can help iron out wrinkles that can form in even the strongest relationships. Is It Time to Get Some Help? Our Psychiatrists Are Here To Help You! Life is rarely without its challenges. There are some, however, that can be so overbearing that it seems impossible to move on. Whether it’s the death of a loved one or overwhelming feelings of anxiety, it’s important you know that help is available for every problem life throws your way. For more information about psychiatric services or to schedule an initial appointment to discuss treatment options, please contact us today!